TOP 10 Project UTVs of 2015! Normally, you read what the Dirt Wheels crew has to say, but here’s where you talk and we listen. Our “Reader Survey” is where we learn more about the people who read Dirt Wheels. When you answer this questionnaire, we find out how to make the magazine better for you. Your opinions are valuable to us, so please take the time to fill out both sides of the survey. In return for your good deed, we’ll give you an equal chance to win a free set of GBC tires. 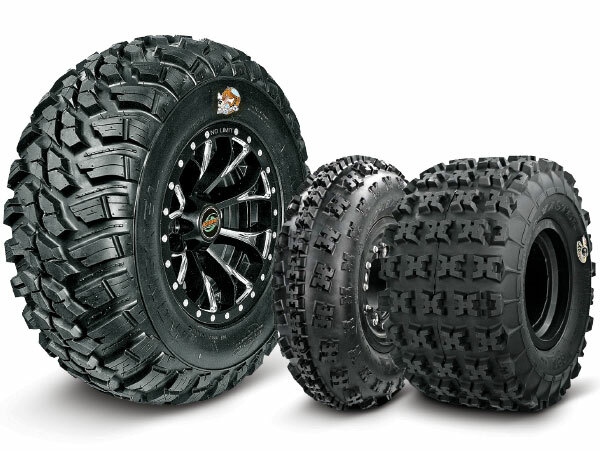 Select the ones that’ll work best for your ATV or UTV. We will select the winner on August 9th. COMPLETE THE FORM BELOW TO BE ENTERED TO WIN, GOOD LUCK!!! No purchase necessary. Photocopies of this form are acceptable, but only one entry per person is allowed. Survey forms are to be submitted in your own envelope; any forms sent to us in the prepaid subscription envelopes will be disqualified. All entries become the property of Hi-Torque Publications, Inc. None can be returned or acknowledged. Winners will be determined in a random drawing from all entries postmarked no later than June 21, 2019. Entries must be postmarked first-class, one entry per envelope. Contest limited to continental U.S. residents only. De­cision will be final. The odds of winning will be de­termined by the total number of entries received. The contest is subject to local, state and federal laws and is void where prohibited. No substitute prize will be given, nor will cash equivalent be paid. In accepting the prize, the winners grant Hi-Torque Publications, Inc., the right to publicize and promote their photograph and the winning of the award. Employees of Hi-Torque Publications and their families are not eligible for the contest. Drawing will be held August 9, 2019. I ROLLED MY QUAD & NOW IT WON’T START! © 2019 - Dirt Wheels Magazine. All Rights Reserved.